Joyce Price was an iconic woman and a lifelong Girl Guide. She’s just been included in the National Pioneer Women’s Hall of Fame for her contributions to the Guiding community, which truly is an honour. Joyce Price was born in 1915 (just 7 years after women first gained the right to vote in Victoria), and she passed away in 2009. She filled those 94 years with some really special achievements. Let’s take a moment to celebrate some of her greatest achievements in life. In Australia, Joyce Price served as the Chief Commissioner for Australia (1968–1973), and was the State Commissioner of Victoria (1963–1968). 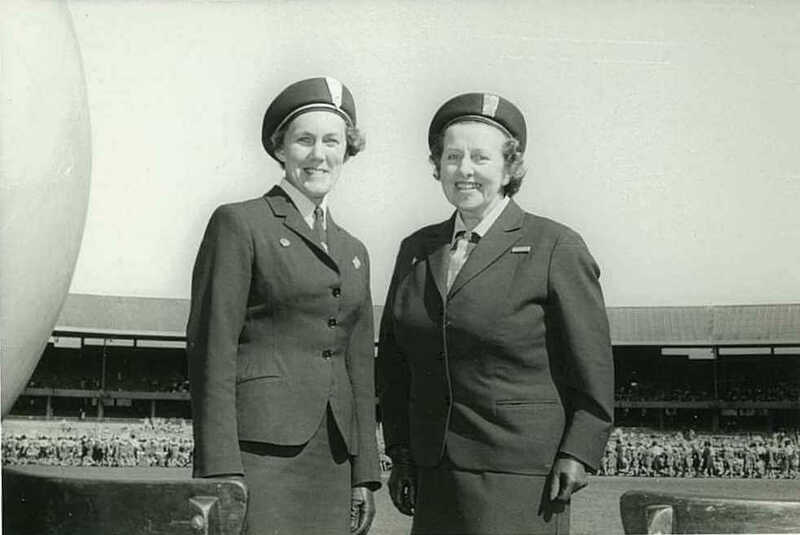 Her life devotion to Girl Guides was also apparent in her roles as District and Division Commissioners in South Australia from 1956 onwards. Her work for Girl Guides was widely celebrated. In 1968, Joyce Price was appointed as an Officer of the Order of the British Empire. In 1977, she received the Girl Guide Silver Fish Award – the highest adult award at Girl Guides! A year later, she was appointed to the Order of St Michael and St George, for her service to Girl Guides. You can see an in-depth list of Joyce Price’s roles and awards here. There are also some great photos of her at the 1965 Welcome Rally on the Girl Guides Victoria archive – Guiding Stories. We would argue that Joyce Price’s greatest achievement was her wonderful support of girls and women. It’s pretty typical for a Girl Guide.